Great Falls, Va., residents pull in more than $360,000 a year. Which other places in our Best Places database have high incomes? A small suburb with major appeal, Great Falls tops this year's list of affluent towns. Residents there enjoy wide-open spaces indoors and out. 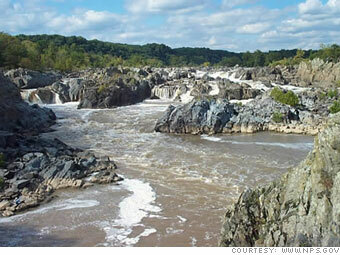 $1 million-plus homes set on two- to five-acre lots ensure plenty of privacy, but if that's not enough room, locals can spread out at Great Falls National Park where the Potomac River rushes through 800 acres of stunning wilds. There are no condos, apartments or townhomes in this D.C. suburb, but the distance between neighbors is less vast than you might think. An active newcomers group welcomes recent arrivals, and good old-fashioned socials in the Village Centre bring everyone together for holidays and summer concerts. Source: Census data, Onboard Informatics projection/aggregation. Only two places per state could qualify.